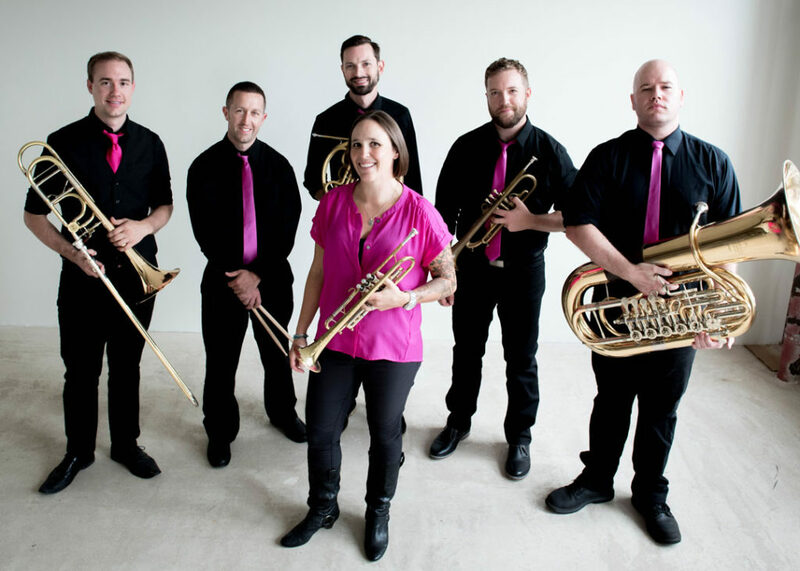 Copper Street Brass (CSB) is the premier brass chamber ensemble in Minnesota and one of only a handful of self-sustaining brass groups in the country. The ensemble was founded in 2008 as a professionally trained classical chamber music ensemble (which means they perform without a conductor) with two trumpets, horn, trombone and tuba. CSB presents exclusively its own music, which is an original blend of musical styles from Mozart to Madonna, in over 35 concerts and 80 outreach services each season. The six core musicians of CSB, Allison Hall, Josh Cameron, Tim Bradley, Alex Wolff, Nick Adragna, and Reid Kennedy have a combined 11 professional music and education degrees and thousands of performances under their belts. These artists have performed with world-renowned classical ensembles like the Minnesota Orchestra, SPCO, MN Opera and Malaysian Philharmonic, and also have the versatility to perform with jazz/blues groups such as Davina and the Vagabonds and Nooky Jones. They have recorded for Prince, Grammy-winner Big Walter Smith, and many other groups. CSB has been heard by thousands of people outside of the Twin Cities area on local concert series performances, summer music festivals, performances with school bands, and collaborations with other local arts groups. Recent performance activities include concert tours throughout Minnesota, North Dakota, South Dakota, Iowa, Kansas, Montana, and New Mexico. CSB has captured its exclusive arrangements on five CDs. Copper Street Brass will take the stage at VBF 2018 at 6:30pm in Bridge Square on July 28. The Minnesota State Band, the official band of the State of Min­nesota and the only remaining state band in the United States, formed in 1898. Its history is closely tied to state military traditions, as well as a tradition of touring; since 1986 it has taken six international concert tours. While international travel is important, the band’s primary mission is to provide high-quality music to Minnesota residents. It operates as a non-profit organization with an all-volunteer membership. It will present a 120th anniversary concert this fall. The Minnesota State Band is conducted by Chuck Boody. Minnesota State Band will play at 2:00pm on July 28 at VBF 2018 in Northfield. The New Prague Area Community Band consists of community members ranging from teenagers to retirees. It plays a diverse selection of band repertoire, striving to entertain all sorts of audiences. Band members are an energetic group who believe that music is fun; they try to show that in their attitudes and in the songs they play at local events and area celebrations throughout the year. The conductor of the New Prague Area Community Band is Rush Wagner. 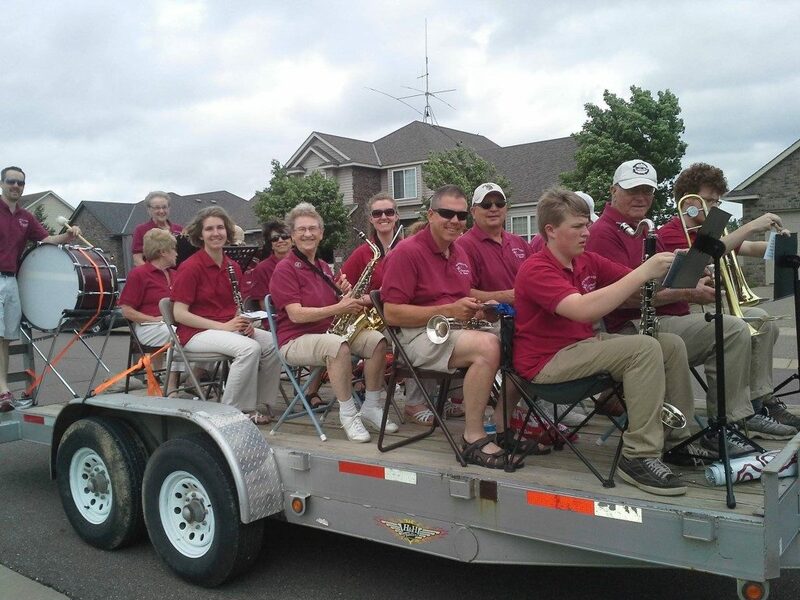 New Prague Community Band will perform at 9:00am on July 28 in Northfield at VBF 2018. This entry was posted in VBF Bands, VBF News and tagged Copper Street Brass, Minnesota State Band, New Prague Community Band on July 15, 2018 by Dan Bergeson.